Claypot is Citymax Hotel’s signature Indian restaurant. And I have been planning to visit this restaurant from couple of years and I finally visited the restaurant yesterday with my kids for early dinner. 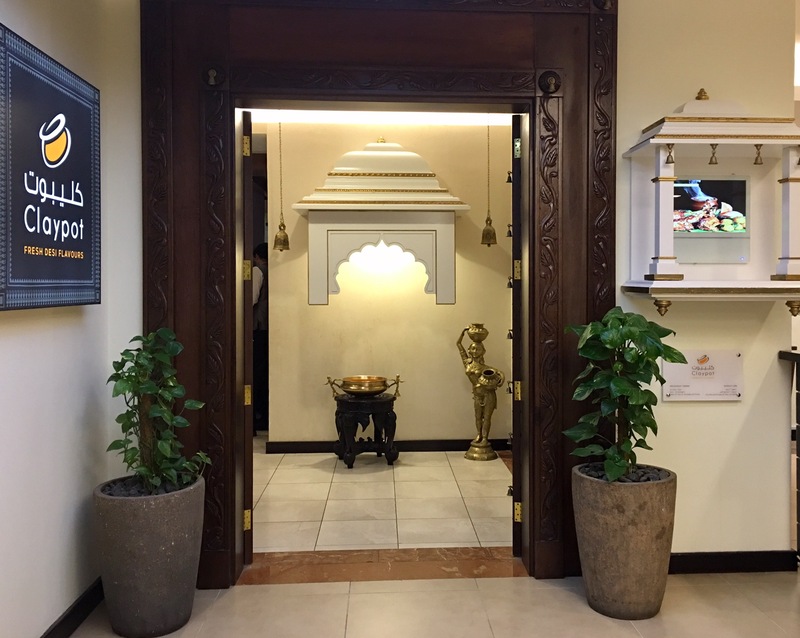 Claypot is situated in the Lobby Level of the Citymax Hotel in Mankhool, Bur Dubai. This casual dining Indian restaurant, specializes in North Indian Cuisine. Claypot also offers business lunch, Friday and Saturday brunch, apart from the regular a la carte menu. As we visited the restaurant for dinner, we ordered from their a la carte menu. 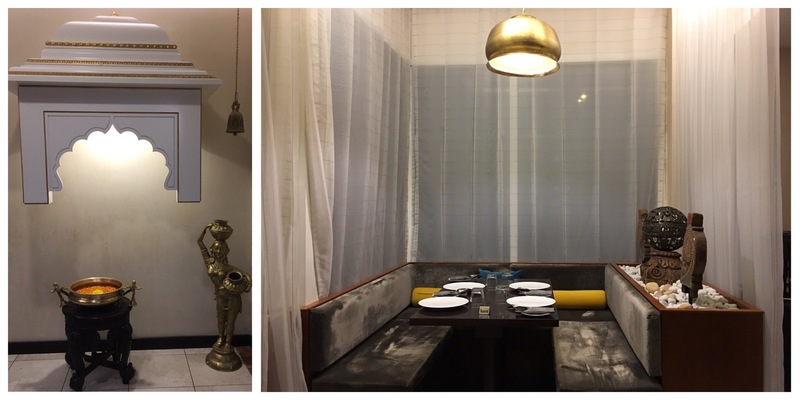 The decor of Claypot restaurant is a lovely blend of modern with Indian interiors. The spacious restaurant is well-lit with elegant decor and comfortable seating area. We loved the light-colored drapes and stylish lamps. It has a cosy atmosphere to enjoy a good meal. They also have a separate bar area and a Chaat corner. As the name of the restaurant suggests, most of the dishes in the restaurant are made in a claypot. Cooking a meal in the claypot is an ancient North Indian technique. Slow cooking in an earthen claypot retains the flavors of the food and gives the dishes a unique taste. Every day from 9pm, Claypot offers Live Indian Music. We enjoyed the melodious music and the lively singing. In fact, we requested some of our favorite numbers too. The drinks menu at Claypot offers a range of alcoholic and non alcoholic drinks. 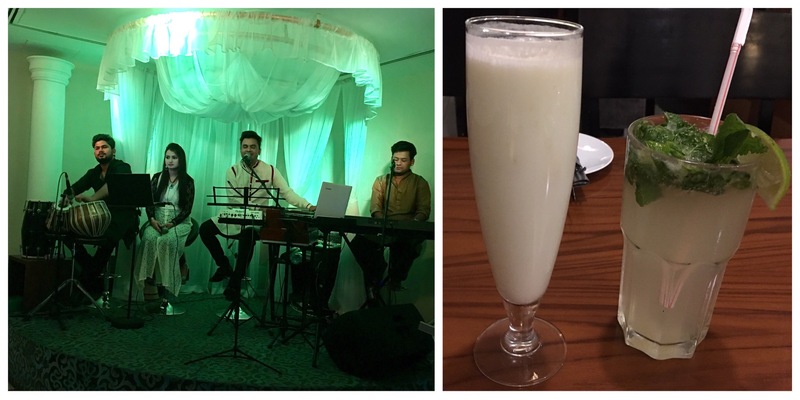 We ordered their super refreshing Lassi and Virgin Mojito. Claypot has a Live Chaat Counter and as a huge fan of Chaat, I had to order it. Chaats are Indian street food delicacy that are very popular in India. We ordered Dahi Puri as it is best to have during summer. It tasted utterly delicious. For starters, we ordered the Mili Juli Shakahari Peshkash. It had the chef’s selection of assorted vegetable kebabs like Paneer Tikka, Bharwan Khumb, Dahi Ke Kebab and Hari Bhari Tikki. Each and every kebab was tasty, flavorful and deliciously different. Our favorite was the succulent Paneer Tikka. For us, a North Indian meal is incomplete without ordering Dal Makhani, a black lentil and red kidney beans delicacy, enriched with butter and cream. The Dal Makhani at Claypot was well cooked, flavorful and oh-so-tasty. Banjare Ki Subzi was excellent. It had mixed veggies tossed in exquisitely hot and sour gravy enriched with nuts. We loved it and highly recommend this dish. Assorted Bread Basket had an assortment of freshly baked Indian bread like Roti, Lachha Paratha, Garlic Naan and Missi Roti. It went very well with the curries. To sweeten our palate, we ordered their Dessert Platter and it consisted of Gulab Jamun, Moong Dal Halwa, Gajar Ka Halwa and Ras Malai. The portion size is big and can be easily shared between 4 people. We liked most of their desserts, but our absolute favorite was the Moong Dal Halwa. It was rich, creamy and extremely delicious. This halwa was served warm. A definite must-try. Our overall experience was good. The food, the service and the atmosphere was great. Yes, I would like to visit Claypot again.